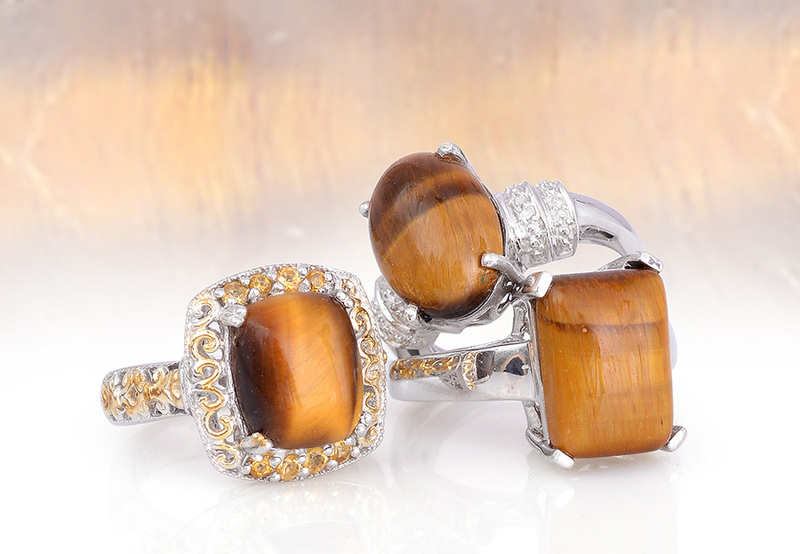 Tiger's eye is the chatoyant version of quartz that possesses radiant bands of silky gold and brown. Its unique swirls of honey and chocolate makes this stone an instantly recognizable treat for gem lovers. Tiger's eye from the Cape Province of South Africa reveals a remarkable swirl of gold chocolate and black that mixes together to form a silky golden brown stone. The technical term for the tiger's eye or cat's eye effect is chatoyancy from the French for "eye of the cat" (oeil de chat). Fibrous inclusions perfectly align in this variety of quartz allowing the gem to display a remarkable inner glow. 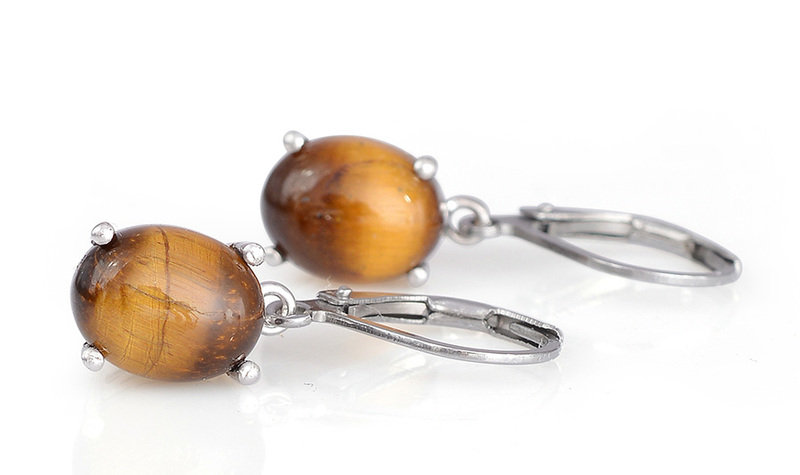 To maximize the beauty of this effect most tiger's eye is cut in a cabochon style. 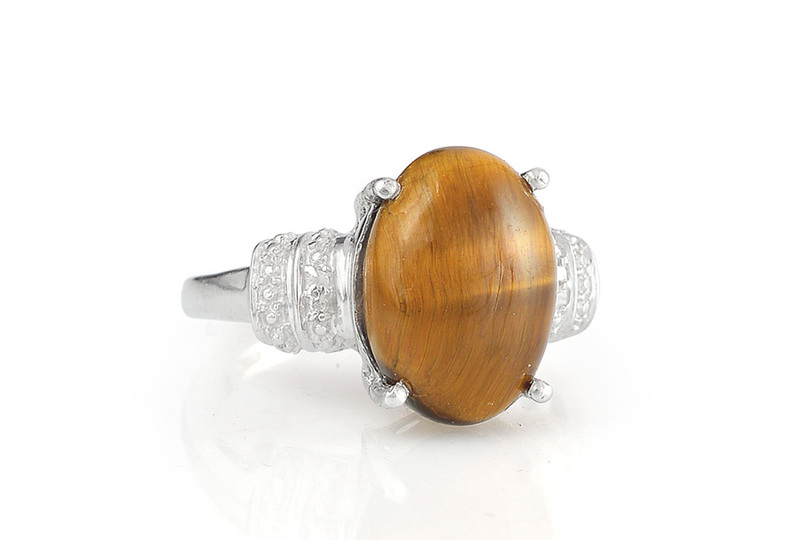 • Tiger's eye is named for and associated with characteristics of the tiger. In Chinese culture tigers are powerful courageous symbols prized for their ability to produce harmony from opposing forces. Tiger charms are used to protect and guard against disease and evil. • Roman soldiers would wear Tiger's eye for protection during battle. In the tradition of Feng Shui placing this protective stone near the entrance of your home provides safekeeping for you and your family. It also has clearing and calming properties making it a great choice for children's rooms or home offices. 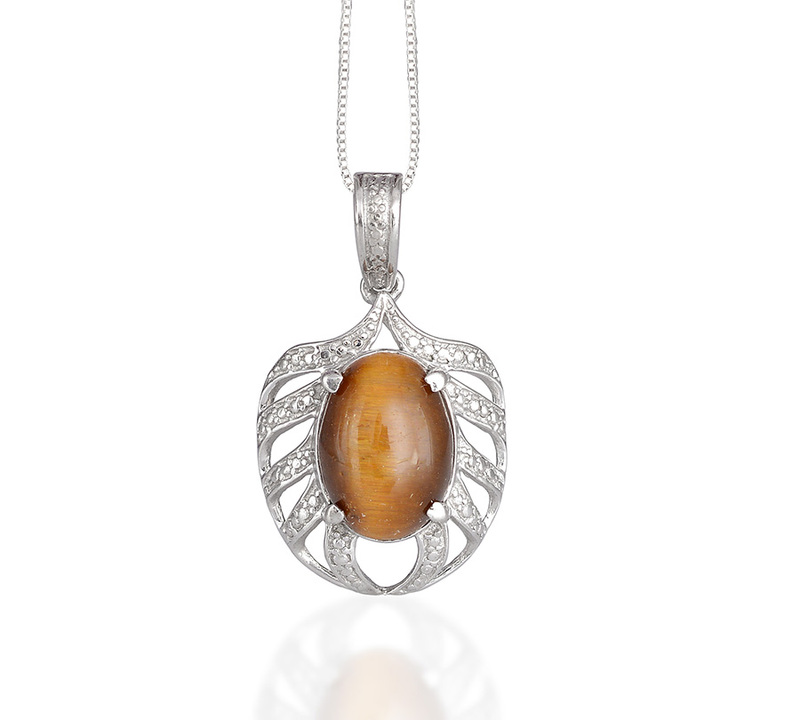 • Jewelry crafted from tiger's eye brings good luck and protection from the evil eye to the wearer. This stone is believed to attract good fortune and wealth while dispelling negative energy. It also brings focus and confidence. • Crystal healers use tiger's eye to provide stability and stress relief to those suffering from anxiety or depression. It has also been used to slow the flow of energy combatting hyperactivity and relieving high blood pressure. • If you dream of tiger's eye stay alert. Someone is hiding something from you. Tiger's eye deposits can be found in Australia China Namibia South Africa and parts of the United States. The largest commercial deposits are located in South Africa and East Asia. 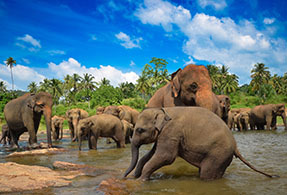 We source our Tiger's eye gemstones in South Africa's Cape Province mine. Color presents shifting chatoyant bands of silky gold chocolate and black. Also known as falcon's eye or pseudocrocidolite. Associated with zodiac sign of Leo. Traditional gift for ninth anniversary.